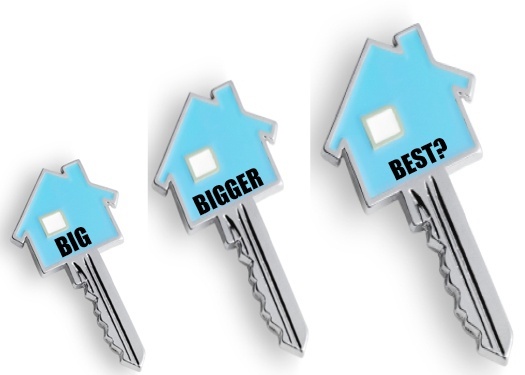 How Big Should Your Home Be? When it’s time to build your Poconos home one big question is, “How big should your home be?” According to aei.org “New US homes today are 1,000 square feet larger than in 1973 and living space per person has nearly doubled.” While the trend over the last several decades has been toward larger homes, increasing numbers of prospective homeowners are asking if bigger is really better. Often the real issue is not more space, but space that is better designed and makes you feel comfortable. Choosing the Right Sized Poconos-area Home. How Big Is Big Enough? One of the decisions you’ll face if you decide to build a new home in the Poconos is what size house to build. While there is a certain school of thought that subscribes to the “Bigger is Better” approach, that’s not the right solution for everyone.